For those of you who are new readers, you may not know that my older brother is a Presbyterian minister. 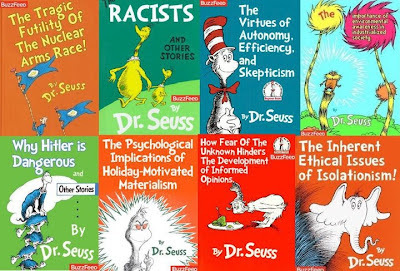 His church has been doing a series of sermons based on the teachings of the prophetic Dr. Seuss. Yesterday's post in which I linked to the blog of Rachel Held Evans was your suggested reading for hopping over today to A godless Galilean and reading my brother's sermon, found here. If you'd also like to read his sermon on Oh, the places you'll go! (in which he addresses the shooting Denver shooting), click here.